The ideal freestanding option for school use. Ring height is fully adjustable to 2.44m, 2.75m and 3.05m heights. Uprights made from 50mm diameter plated steel with punched ring holes. NB1AR Posts 16mm tubular ring. Q: What can you adjust the netball ring to? 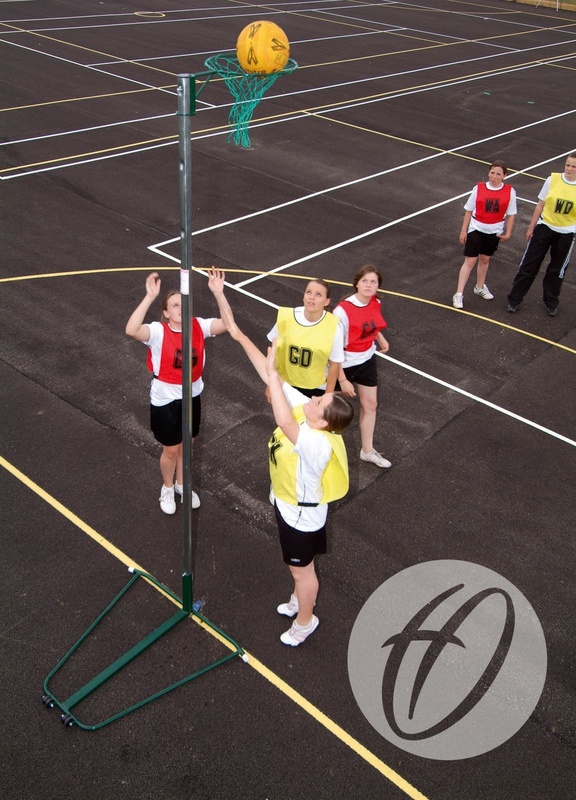 A: Our netball ring height can be fully adjusted to 2.5m, 2.75m and 3.05m on the upright.